Keep it traditional with tulle illusion neckline ball gown wedding dress. 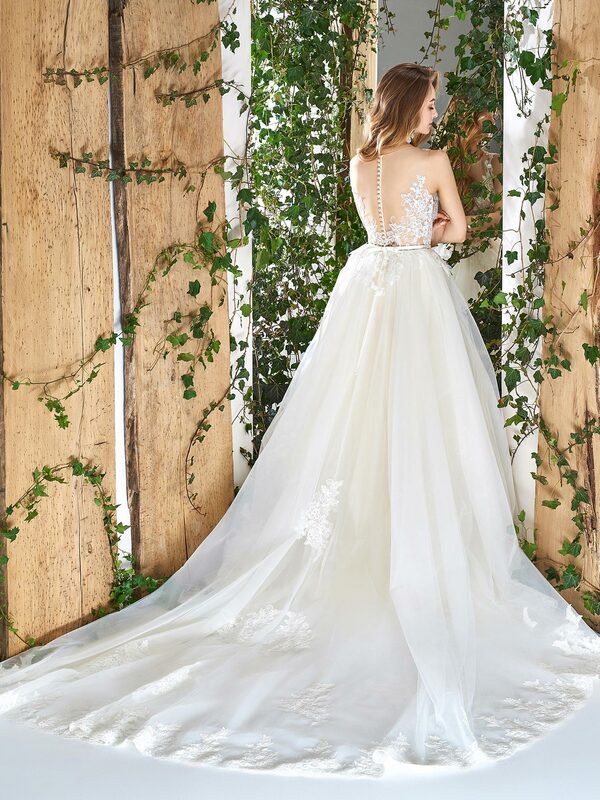 The beautiful beaded and embroidery bodice throughout the natural waistline is exquisite for a majestic look. The style features an illusion neckline top with thin embellished belt and an illusion lace back trimmed with pearlescent buttons. A flared tulle skirt available with or without lace hem.